Conference on Principles of Distributed Systems (OPODIS 2017), 18.-20.12.2017, Lisboa, Portugal. Panagiota Fatourou and Nikolaos D. Kallimanis from ExaNoDe partner FORTH will present a paper on “Lock Oscillation: Boosting the Performance of Concurrent Data Structures”. 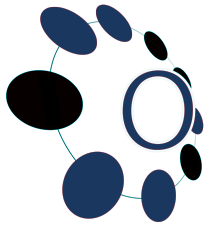 OPODIS is an open forum for the exchange of state-of-the-art knowledge on distributed computing and distributed computer systems. All aspects of distributed systems are within the scope of OPODIS. All aspects of distributed systems are within the scope of OPODIS, including theory, specification, design, performance, and system building. With strong roots in the theory of distributed systems, OPODIS covers nowadays the whole range between the theoretical aspects and practical implementations of distributed systems, as well as experimentation and quantitative assessments.